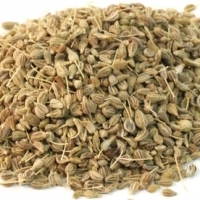 Browse aniseeds suppliers by country and region. A4, A3 paper grade a quality, 80GSM, 75 GSM,70 GSM, brands: double a, paperone, golden star, laser, chamex, xerox, hp and etc ( made in thailand ).We ship internationally , follow customer requirement. Short on time? Let aniseeds sellers contact you. Spice items like pepper, coriander, cumin, cloves, chili, turmeric, cinnamon, cardamom, fennel, nutmeg etc, other crops like ginger, garlic, onion, aniseed, bay leaf, fruits like mango, cantaloupe, papaya. Appalam, pappad, vadam and vathal, spices including cumin seed, aniseed, chillies, tamarind, coriander, asafoetida, cardamom, areca palm leaf plates, cups. Tea products, cinnamon, star aniseed. Cassia split, star aniseed, groundnut kernels, frozen chilli, dried chilli. Spices such as: star aniseed, cassia. 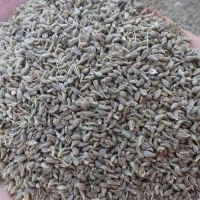 Cassia (split cassia, broken cassia, whole cassia, cassia, supper cassia) star aniseeds. Lang Son Agro Forestry Product Processing And Export Co., Ltd.
Tien Thanh Trading & Production Co., Ltd.
Cassia, star aniseed and herbs. Mixed herbs and spices: star aniseed with and without stem (super grade), cinnamon cortex bark yb3, yb4a, yb4b, yb4c, cinnamon cortex round cutting, cinnamon cortex square cutting, cinnamon cortex broken, essential oils: basil oil 83% methyl chavicol, star aniseed oil 90% anethol + cajuput oil 90% cineol + citronella oil 32-33% citronella oil + cassia oil 70 % aldehydcinamic - agricultural products: groundnut kernnel, black pepper. Cassia cinnamon and star aniseed.